Get the Results that 1000s of Clients Have Loved! Carolina Araujo "Romy has done nothing but exceed my expectations. Not only has he been an exceptional dietitian/coach/trainer, he has also provided all of the guidance and support required to achieve my goals. He is truly exceptional "
Rachelle Dejean "Romy has the extensive experience and knowledge to serve as a great resource for health, nutrition, and fitness." Christina Mims "Romy is a great trainer who provided me with meal and fitness plans that have helped me lose 25 pounds and keep it off for about four years now. He's extremely knowledgeable, passionate and I would recommend his services to anyone." Lindsey Haddock, "Romy is a positive, motivating and knowledgable trainer and I have had a great experience working with him! His expertise in both nutrition and fitness training are unparallelled and he is always friendly and encouraging. I would highly recommend him to anyone in need of a challenging, positive and knowledgeable trainer!" Daniel Jamison, "Romy is extremely good at what he does.. He works will clients all over the world to help them achieve health and fitness goals. He shares this knowledge, with passion, through the articles on Rippednfit.com"
Kristie Rhymer, "Romy has not only provided the fitness community with a website containing extensive information to expand ones knowledge of health and fitness, he still finds time to provide one-on-one coaching for a minimal cost. I hired Romy in preparation for my first fitness competition and with his help I achieve the results I was struggling for. He also taught me the skills to continue on my path with success and to help others achieve theirs." Reia Holst "I went through the 12 week Ripped n fit program. At 5’3” I lost 9 pounds and about 2.5 inches off my waist. It was a great experience because I had never really tried a dieting program before, and had only been into working out for a little less than a year when I decided I needed some help with both working out and what I was putting into my body. It was helpful to have a brand new plan every couple of weeks and still be able to make good food. I felt like I was eased into the whole diet thing, so I could have some of the not so healthy things on rest days, but once they disappeared from the meal plan, I didn’t really miss them. As for the workout plan, everything was straightforward and there wasn’t any point when I felt that I couldn’t do something with a bit of motivation. I’ve actually recommended this program to my friends who say they’re stuck in a rut and I’ll tell anybody who asks that this is the reason I’ve been able to stay in shape and keep hitting PRs. So I want to thank you, Romy, for helping me reach my fitness goals as well as personal goals. And for anyone who’s on the fence about it, it’s absolutely worth the investment." Andrew Schuss, "I had heard of Romy through a friend and decided to look at his Facebook page and liked what I saw so I decided to give it a try. That was one of the best decisions of my life! The diet was exactly what I needed to pack on muscle and cut fat and the workouts were great too. Romy always checked in on me to see how everything was going and if we needed to change things and would make the changes promptly in order to continue my progress. RippedNFit provides you the tools in order to achieve a better physique, but you have to put in the time and effort in order to achieve those goals. I was a high level college basketball player for four years and for my senior year this also provided me with the strength and explosiveness to take my game to another level. Both men and women should choose RippedNFit because it provides specific and personal plans to achieve any goal." Michelina Wingerter, "I’ve learned so much from Romy. I’ve always been a self motivated person but never knew what I needed to get the results I wanted. What I love most about RippedNFit is that every plan is personalized. I was tired of generic plans with unrealistic expectations. He taught me how to be the best version of myself! The harder I worked, the better I looked, the greater I felt, the healthier I became." Kelly Thomas, "Just wanted to say a big thank you for the coaching and training that I completed under your guidance. I wanted to continue on my fitness journey and toyed with the idea of competing and getting up on stage, but had no idea of how to achieve this dream. I felt a little dubious signing up with you as I live in Australia and you are over the ocean in America, but you quickly put my mind at ease with your emails and Facebook messages. I feel I had more contact with you than the PT’s that I have hired in the past and they worked at my gym!! Your approach to training and nutrition is based on your knowledge and then customised for the individual and not a generic program that has been used before on countless people. This was the reason I decided to trust you with my journey and I was never disappointed." Sonja Shaw, "To start off , Romy is amazing -professional and caring ! 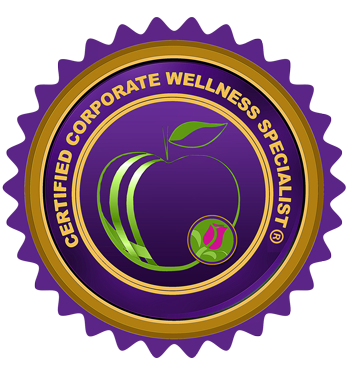 He is compassionate with helping others lead a balanced healthy life. He is completely knowledgeable and helped me with some problems that the doctors could not help me with. He is quick at responding and never leaves you guessing. I guess I could go on and on but honestly you don’t find a lot of caring compassionate and knowledgeable people around – he is one of them!" Heather Jolie, "I’ve had a few coaches/ nutritionists in the past that didn’t turn out to be the best experiences. So it’s fair to say I was a little hesitant at first. I had gained quite a bit of weight after my first prep (and a show I did not end up doing considering I did not hear from my coach in almost 2 weeks and this was 6 weeks out from the show). However, I was given Romy’s name and told to contact him. So I messaged him and explained my concerns and what I needed help with. He contacted me almost immediately and we got to talking. Not only is he very personable, but his prices were very realistic and payment plans make it easier on the bank account so I’m not stressing about paying all at once!! I have now been working with Romy since October and it has been the best investment I could have made! He takes into consideration any health restrictions you have, likes/dislikes, etc. I don’t have to wait days before hearing back from him and he’s very easy to talk to about any concerns!! (yes ladies.. ANY concerns)." Maggie Mae, "I lost 3 lbs this week and am now into my smallest pants. I had plateaued but I talked to Romy and he coached me on a couple of things and boom, the weight started to come off again. He actually told me to eat more and helped me work out more efficiently - or train smart as he says. 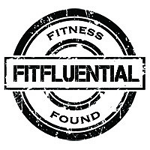 Anyone looking for a fitness coach or even just a few pointers, he is highly recommended!" Adam Warnemunde "Romy, is an amazing coach and wealth of knowledge! I wanted to start a transformation of my body and mind and Romy helped me so much along the way. He was so prompt at answering any questions and very knowledgeable in his field. I felt the best, and looked the best I ever had when working with him. Did I mention we never met personally?? That is how great he was...although never personally able to meet (yet) he was able to motivate me and keep me thirsty for more improvement. You can just tell he is extremely dedicated to his craft and wants to help people who are willing to be helped, and put forth the effort! I highly recommend Romy to anyone and am glad to say that my wife and I were some of his first clients. Congrats on the success and many more years of success to come!" Jessica Zinskie "Romy worked in my research lab in his junior and senior year of college. While working in the lab, he was simultaneously volunteering, working in another research lab and developing several reputable, successful websites. He is a very hardworking and knowledgeable student which has helped him become the success he is today!!" Varun Bajaj "Romy is one of the most motivated individuals I have ever worked with. He is always looking for new ways to become innovative in his business while also improving already proven tactics. He also developed a diet program for me even though I am a strict vegetarian. With his proven and thoroughly researched programs, I have been able to gain 10 pounds of muscle!" George Wallace-Lewis, "Romy CEO & Owner at RippedNFit is very dedicated to his work with helping his clients. I've been to numerous nutritionists to help me cut weight but none of them helped make sure I was on task. Once I hired Romy to help me with my nutrition to become more lean, I saw results within two weeks! He made sure I was on task and always made sure I knew he was there to help me as a teammate. Romy is very knowledgeable about his craft and loves to help people get to their best. I highly recommend anyone to choose Romy as their personal trainer." Brigette Biebel, "Romy Antoine is the CEO, owner and editor at Rippednfit.com, a fitness website and brand where I am a contributing writer, sponsored athlete and spokes model. He demonstrates innovative ideas which he always delivers and provides opportunity to others with like minds and similar goals. Always a pleasure to work with because he is reliable, available, hard-working and supportive." Crystal Sullivan, I wanted to gain more muscle in my legs and he has done that for me in just a short time I can see a tremendous difference in my strength and endurance. I have more energy over all and don't feel tried by mid afternoon. I have learned a lot about nutrition and that it plays a big part in getting you where you would like to be other than just exercising. I am amazed by results that I want more! Romy truly takes the guesswork out for you! Robert Cameron Dolor ipsum ipsum sit tetur et mauris ornare dapibus. Morbi pellen tesque vehicula nisi. Nam enim felis apibus egetras consec lorem iopsum dolor ametico augue emassa auctort id glavico et aliquet mi. Morbi ac felis quis enim rhoncus venenatis. Carolina Borja, "I must say that you have taught me a lot about nutrition. These 8 weeks are proof that nutrition in any program is key. As I only committed to your meal plan and it helped me achieve my goals. I am more than happy with the end results, and this is not to say what more I could have accomplished with your workout plan. You were there to help me out at any moment with any questions, concerns, or even inquiries. Especially after the holidays, when i packed on some pounds, you did not judge or hound me, but instead were there for me as a great coach and helped me get back on track. It is great to have such a great coach that is there for you ever step of the way. That doesn’t get on you for being human and making mistakes, but instead helps you get through it with some guidance and best- checks up on you to make sure you are on the right track. My job is very challenging and at times it was hard to communicate to you, but you were always making sure that you reached out to make sure that I was doing okay. Which is great, because that really shows how much you care about your clients. It was a pleasure to have had you as my coach and I can’t wait to work with you in the future not only the meal plan but also the workout." Meaghan Cleary, "After going through a difficult year and feeling not motivated, Romy got me back on track. I’ve always been an athlete but when it comes to the gym I always struggled with routines and what days to do what. His program not only motivated me but taught me how to eat on certain days of training. In 30 days I lost 6 pounds and I am starting to see definition in my arms and top of my stomach." Sarah-Marie Weider, "I love working out…always have. When i found out that there are fitness competitions in Vegas I couldn’t help but be curious. After seeing two beautiful competitors through Instagram I was inspired to train for my first show. I took a suggestion from one the women who inspired me to hire Romy, Rippednfit trainer, to help me prepare for the show. Nervous about doing a show for the first time and knowing nothing about show prep, I found myself doubtful many times. But the confidence and encouragement from Romy really kept me on track. Trust the program… Stop comparing myself to others, listen to my trainer, just keep going forward. These words repeated through my mind fighting the doubt and fears which were constantly trying to pound its way into my brain. His diet plan threw me out of my comfort zone… Eat MORE food?! REALLY?? Fats??? Are you SERIOUS?! All I had originally thought i knew about weight loss i literally had to throw out of the window completely. Speaking to other fellow competitors they spoke about how they were starving, their diets EXTREMELY limited, and I was afraid because my diet, although was strict, was nowhere near as drastic as the others. Despite my fears and doubts I pressed on and Romy always addressed my concerns. Tweaking my diet when needed and never leaving me hanging. Even during a time of his own grief he still remained my main support to the end. Working with Rippednfit was the best thing for me. I went onstage confident, and satisfied with my appearance. The best shape I’ve ever been in my life was achieved that day at 29 years old… "
Dylan Bowman, "He has motivated me to get my health back on track. It takes a lot to do that! I’m such a fat kid inside. Some days were easier than others; but I love the results I got from him. He knows what he is doing! Still blows my mind that this is all done online. However you gotta do the work in order for the change to happen. Yes it will be hard, yes you will be sore, yes you will say maybe this isn’t for me. But it's so worth it and it will change your life. If that’s what you want. If not, you remain the person you are. Think about it; do you want to do what it takes, or do just want to sit there and think about it. I’m choosing to live the healthiest I have ever been. Thank you Romy for everything. You know what you are doing!" Designed by Goomi Technology. All rights reserved.